THE PAID ACTORS AT THE NECROVILLE SURVIVAL EXPERIENCE ARE VERY GOOD AT PRETENDING TO BE ZOMBIES. TOO GOOD... When Will and his friends decide to spend one last night together after graduating university, none of them realise the danger that lurks in plain sight. At first they're having fun, caught up in the thrill of running through the forest, firing Nerf guns at under-paid zombies-actors. Then that all changes when darkness falls. It quickly becomes apparent that the actors are very good at what they do. Too good. Armed with only an arsenal of Nerf guns, the group quickly figure out that they'll need more than just foam bullets and sandwiches to get them through the night. 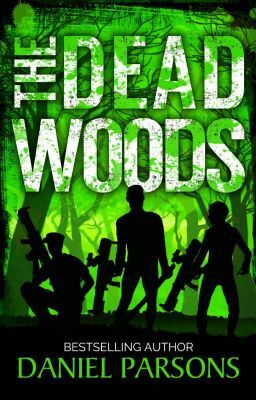 The Dead Woods is the critically acclaimed comedy zombie story that founded The Necroville Series. If you like Zombieland or Shaun of the Dead then you'll love Daniel Parsons's hilarious horror.